I’m finding gardening to be an attractive theme for STEM education in general and specifically to girls. 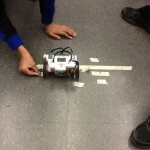 Using the LEGO MINDSTORMS EV3 brick to introduce control systems, design, and data logging. The LEGO Friends theme really adds to the project allowing girls to imagine themselves in the role of research scientist or project manager. 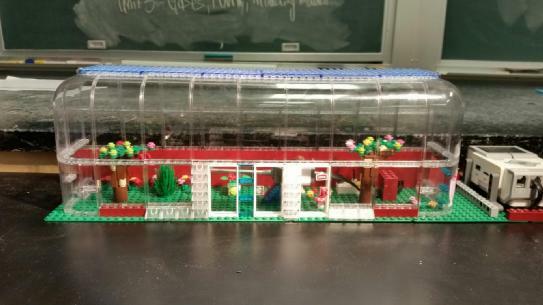 This was part of our greenhouse design project. 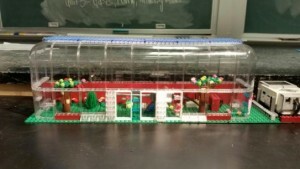 My students were challenged to build scale model greenhouses. They could be any scale they wanted to make them, they just needed to state what their scale was. Some used PVC pipe, some chose scale model lumber from Pitsco True Scale House Framing Kit, some used actual 2X4 lumber. It was a bit chaotic but we had everybody building miniature greenhouses simultaneously. 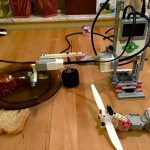 I used LEGO to create devices for energy transformation. 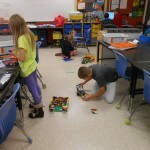 At first I didn’t even think about using LEGO pieces for this project, but I had one group of students who were really excited about using LEGO. I started to tell them about LEGO Digital Designer and BrickLink and they worked really hard on it. 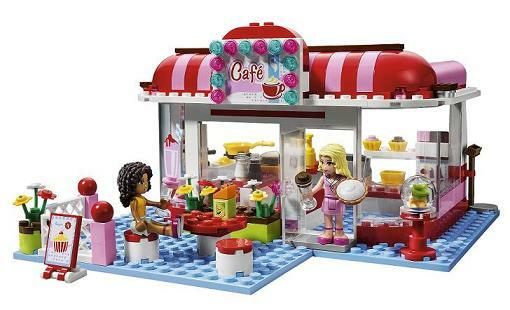 The pieces were imported into LEGO Digital Designer. The first construction was virtual and then we purchased the pieces from Bricklink to actually construct it. I want to either continue the project myself or inspire someone to continue working on it. I want to automate it to cool itself when it gets too warm by monitoring the temperature and turning on the exhaust fans when it gets warm. I don’t expect much problem with the code, but I have not yet thought of a suitable exhaust fan control system that incorporates easily into the design. I am dedicated to teaching and learning. I am all about making learning fun and relevant. I want to send students into the world with resume ready skills and business savvy. 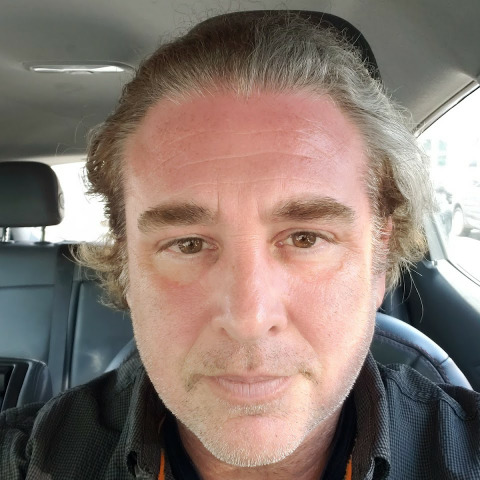 I am determined to be a STEM leader known for turning out inspired students, skilled professional interns, and artisans bent on entrepreneurship. I’m a Biotechnology teacher at Minuteman High School in Lexington, MA. 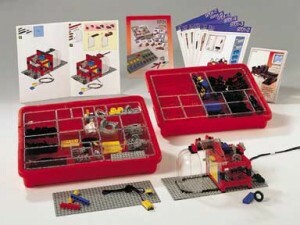 Years ago (15 or so I believe) I used the RCX systems with the LEGO Dacta 9701 Greenhouse kits. We had programming for a Process Control system where the greenhouse door would open and a fan would turn on when a high temperature was met. And then, when the lower temperature was met, the door would close and the light would turn on to heat the greenhouse. I would like to re-create this with the NXT system. It is a good process control example for bioreactors. I was thinking of using the Solar/Wind/Hydro Energy kit as part of the system. I’d appreciate feedback or advice you may have gained from your experiences. Thanks very much.